The 2019 budget represents hard times ahead for Zambia, Socialist Party General Secretary Dr Cosmas Musumali has warned. And Dr Musumali said the 2019 budget exercise was futile and deceitful, which produced words without context nor meaning. Analysing the budget speech delivered by finance minister Margaret Mwanakatwe on September 28, 2018 to National Assembly, Dr Musumali who is also an economist yesterday further warned of more repression and state sponsored violence against citizens in the face of anticipated instability due to policy failure and incompetency. “With the economy poised in such a negative trajectory, political stability cannot be guaranteed. The knee-jerk reaction of the ruling elite will be to respond with more repression and state sponsored violence,” he said. “Hard times lie ahead for Zambia. Neo-liberal capitalism has openly failed the masses. The time for a just, fair and equitable socialist society has arrived”. Dr Musumali said the budget was detached from the miserable conditions of the financial and real economy where it hardly addresses the suffering and challenges of the working masses while it failed to build confidence of the international community in the country. 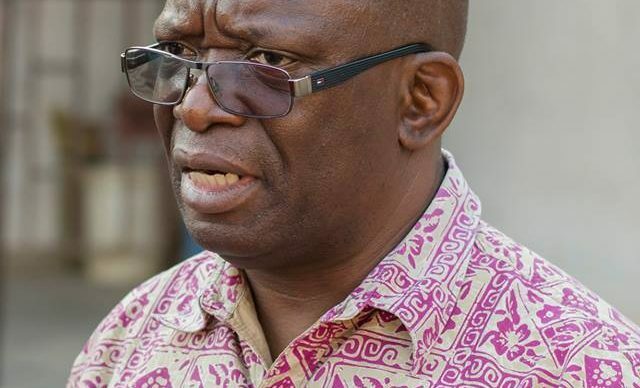 “Once more, Zambia’s petty bourgeois leadership has out-marched its own record in all ways of destroying our tiny impoverished economy and the hopes of the 99% of the country’s population affected by policy failure,” he said. Dr Musumali said time for a just, fair and equitable socialist society had arrived to address the challenges faced by the working masses. The 2019 national budgeting exercise would have been comical – had it not been that futile and deceitful. It is essentially an exercise that has produced words without context and meaning; it is detached from the miserable conditions of the financial and real economy; it hardly addresses the plight of the working masses; and does very little to alley the fears of the already frightened international financial markets. An apparent mixture of panic, arrogance and sheer incompetence ends up producing a shameful budget. Once more, Zambia’s petty bourgeois leadership has out-marched its own record in all ways of destroying our tiny impoverished economy and the hopes of the 99% of the country’s population affected by policy failure. Let us step back to last year (Friday, the 29th September, 2017). The then Minister of Finance Felix Mutati, delivered to the National Assembly a budget under the theme “Accelerating fiscal fitness for sustained inclusive growth, without leaving anyone behind”. The theme was carefully chosen to blindfold the international financial markets that wanted to see more fiscal disciple in the management of the Zambian economy as well as of the country’s citizens who were apprehensive of the consequences of an austerity programme that would accompany the awaited IMF cash injection. However, before the end of 2017, line Ministries were frantically working on and requesting for supplementary budgets. The IMF and the international financial markets were also signalling displeasure; they did not trust the implementation capacity of the government and more seriously, even the promises, the 2018 budget had made. In other words, the 2018 national budget had become obsolete even before the beginning of the budget year! Therein lies the major factor contributing to the accelerated economic misery we see today. Even by standards of other tiny, land-locked and extractive-based African economies affected by the global crisis of capitalism, Zambia is amongst the worst performers. Meantime, the leadership of the country continues merry making, contracting domestic and international debt, making arrogant speeches that “all is under control” as well as enriching itself in a kleptomaniac way from the spoils of an ill economy. Coming back to the 2019 Budget; the Minister of Finance, Margaret Mwanakatwe, addressed the National Assembly on the 28th September 2018 under the theme “Delivering Fiscal Consolidation for Sustainable and Inclusive Growth”. This is a replica of last year’s theme. As it would be expected, the introductory remarks were targeted at pacifying the masses and appealing to the nation’s disturbed psycho-social mood: Adherence to the covenant with God is blasphemously brought up and the sovereignty of the country is underlined amid the widespread fears that the petty bourgeois leadership has auctioned off the command heights of the economy. At this point, the reader is severely challenged to marshal enough patience to complete reading the rest of the budget speech. The critical sector policies and interventions, in line with the pillars of the Seventh National Development Plan, are a mixture excellent sequencing, i.e. the format, indecisive policy positions, misinformed regulatory frameworks and in some cases well-meant as well as properly thought through specific projects. Overall, it is a missed opportunity. It is also apparent that the technocrats drafting this budget speech did not have it easy. It is the equivalent of a salesperson trying to cover up product deficiencies with some reassuring words. It is a futile exercise. Pillar 1 (Economic diversification and job creation) fares better under energy, regional and international trade as well as on the sub-topic of transport. However, even these areas are not free from the misalignment of policy, regulation and developmental projects. The sectors including industry, agriculture, mining and tourism show high levels of confusion and incompetency. This is further reflected under Pillar 2 (Reducing poverty and vulnerability) and Pillar 3 (Reducing developmental inequality). Pillars 2 and 3 also suffer from heavy dependency on external technical and financial assistance, the fragmented (silo) approach in programming and pervasive corruption. This enhances systemic risk and compromises the possibilities of people-level impact. There was a good chance to salvage some budget credibility under Pillar 4 (Enhancing human development). This includes education, heath, water supply and sanitation. The expectation here was that the 2019 budget would go beyond ring-fencing of funding under an austerity context and utilise the opportunity to undertake long-pending sectoral reforms that would improve both access and quality of services for the majority poor. Instead, the budget has adopted a “business as usual” and a “more of the same” approach. Pillar 5 (Creating a conducive governance environment for a diversified and inclusive economy) focuses on macro-economic stability and creating space for private sector growth, labour law reforms and the rebasing of the GDP in 2019. Ironically, the very government whose actions have brought about macro-economic instability promises to wake up and stabilise the economy! The government that has implicitly and explicitly been anti labour should now be trusted to arbitrate and navigate the neoliberal economic laws that have stifled Zambian workers for more than two decades! A 4% GDP growth rate is possible. This will not be broad-based. The upsurge in the base metal prices will increase the contribution of mining and other allied sectors to this growth. Agriculture, with the largest potential for growth, value addition, job creation and poverty alleviation will continue to stagnate. Poverty will therefore continue to entrench itself amongst the Zambian masses. Inflation will be difficult to subdue to 6-8% in 2019. Food inflation will shoot to over 10% driven by high fuel, transport and other input costs. Further easing of monetary policy is unlikely. Lending rates will not fall below 20% and it is hard to imagine how our domestic private capital can thrive under such conditions. Non-performing loans may go beyond 13% on the loan portfolios of the banks. There is less the Bank of Zambia regulation can achieve if the macro-economic fundamentals are highly skewed. The current account deficit will continue to widen. Imports, interest payments and dividend payments to non-resident shareholders will continue to increase the demand for foreign currency and put pressure on the Kwacha. More external borrowing will be needed to merely stop the downward spiral of the Kwacha. The “carrot and stick” offered by the IMF will be hard to resist. Gross international reserves will be difficult to push up to 3 months of import cover, let alone to 4 months. Under this situation, fiscal deficit will prove difficult to reduce to 6.5% of GDP. The biggest expenditure item is external debt payment. The biggest source of financing are the Zambian masses through personal income tax, value added tax, exercise duty that targets the consumers plus more external borrowing. In essence, the poor Zambians are paying back the external debt contracted by a reckless petty bourgeois ruling elite – apart from paying for the luxurious life styles. With the economy poised in such a negative trajectory, political stability cannot be guaranteed. The knee-jerk reaction of the ruling elite will be to respond with more repression and state sponsored violence. Hard times lie ahead for Zambia. Neo-liberal capitalism has openly failed the masses. The time for a just, fair and equitable socialist society has arrived.